As much as I’ve enjoyed hanging out on my sofa and watching TV, it was time to inject a little more energy into January. London Box Office contacted me and asked me if I would like to go and 42nd Street at The Drury Lane theatre. As the regular readers will know, I am no stranger to the theatre, and it took me all of a millisecond to reply with an enthusiastic YES! As the conductor rose from the pit, with an energetic sweeping arm and huge grin to introduce himself to the cheering audience, you know you are in for a good night. 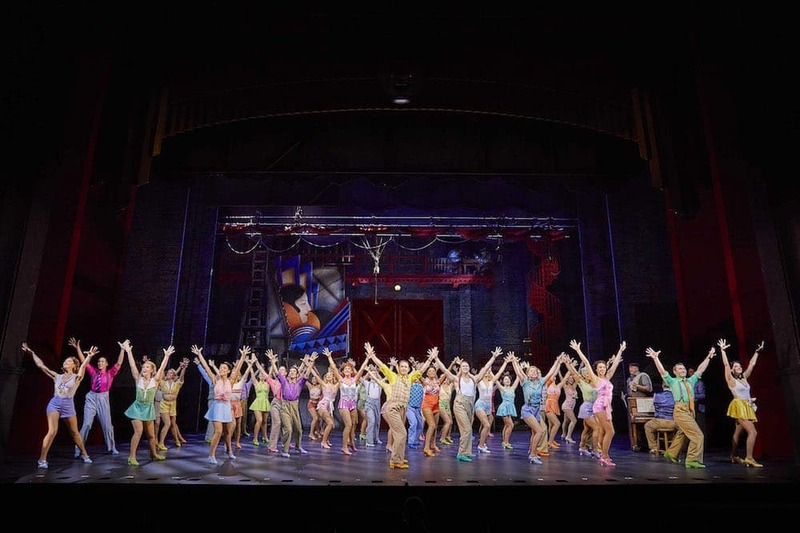 The opening scene is 40 pairs of tapping feet, dressed in an array of pastel colours filling the stage, the razzamatazz had been turned straight to 10, and to be honest, it didn’t once drop throughout the whole performance. 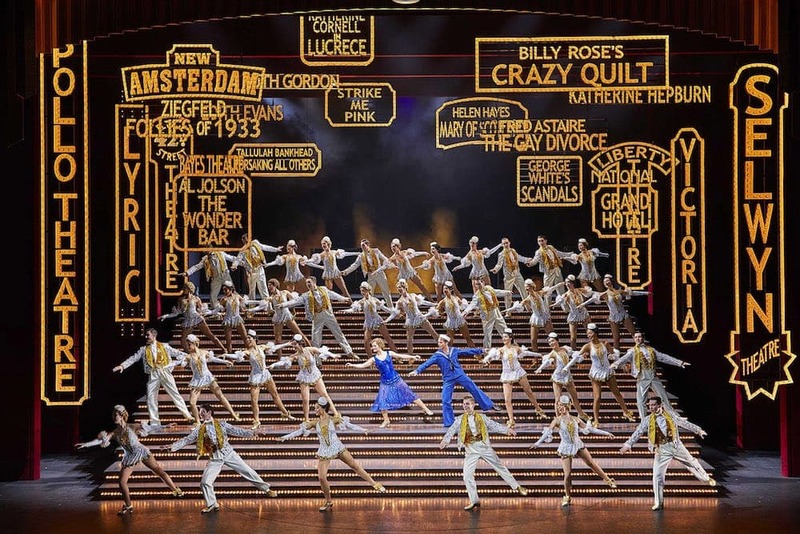 It’s hard to put into words the sheer spectacle the is 42nd Street: Every scene is filled with achingly beautifully, bright, glittery costumes, set against clever, ever moving scenery. The stage is awash with colour, and having walked in from the dark, cold, stormy January night, this was the perfect antidote. Aside form this, the cast perform with such an amazing spirit: the smiles are as big as the glitter budget (and that must be huge). Although the main cast performed their parts admirably, the highlight was the chorus lines. Their dancing was sleek, impeccable and utterly flawless and whilst their feet are hoofing away, they are also singing divinely. The ensemble pieces left me agog. That said, Brock’s (Sheena Easton) solo piece was tender and full of character, and Peggy Sawyer (Clare Halse) can perform turning taps steps by the dozen in a jaw-dropping way! 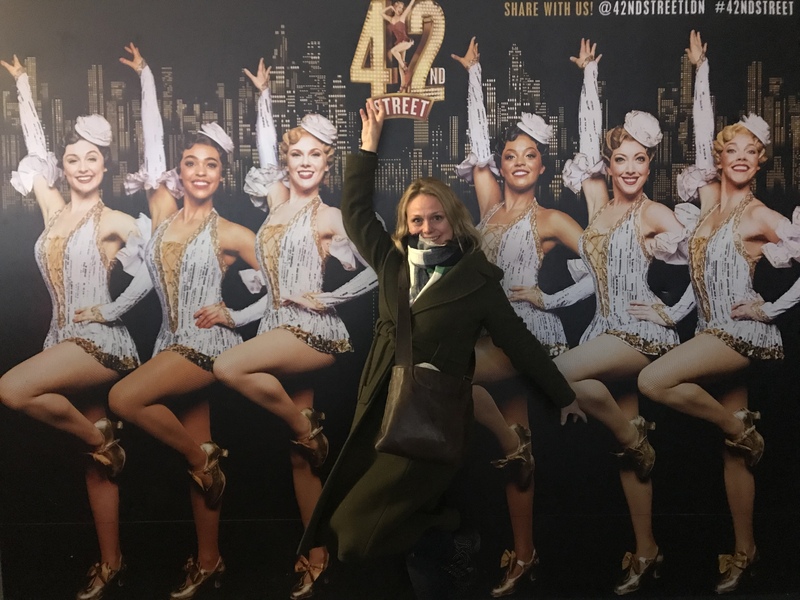 Overall, 42 Street is an absolute treat for the all the senses – it is a constant stream of glamour, glitter, show-stopping numbers, extraordinary dancing and it flies off the feel-good scale somewhere into the stratosphere. 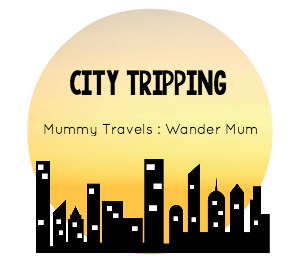 It’s more than suitable for all the family (say seven upwards), from dance-mad kids to musical loving grandparents. If you are anything like me, you’ll come out googling tap-dancing lessons, that’s if you can use your ‘phone as you can’t stop doing jazz hands. 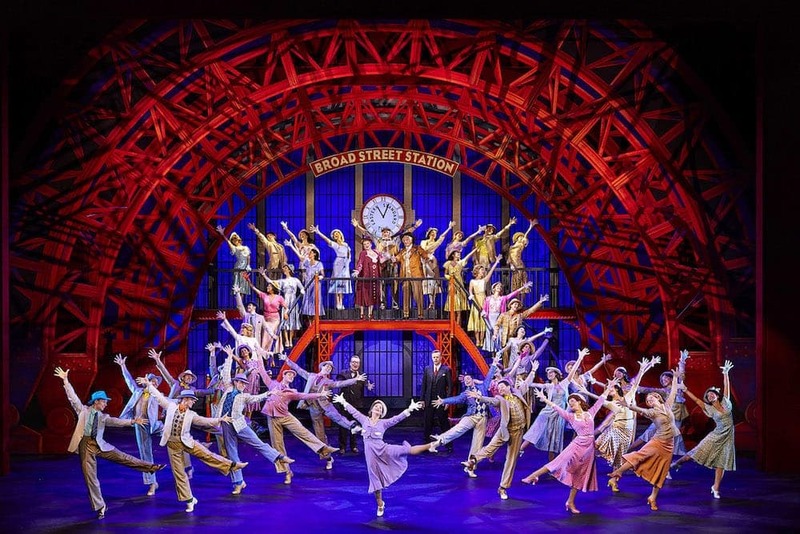 If you’re in need of an injection of show biz glamour and glitz , go and book 42nd street. I promise you will not be disappointed. I received a complimentary ticket from London Box office in return for a review. Have a look at their website for great prices on London shows.